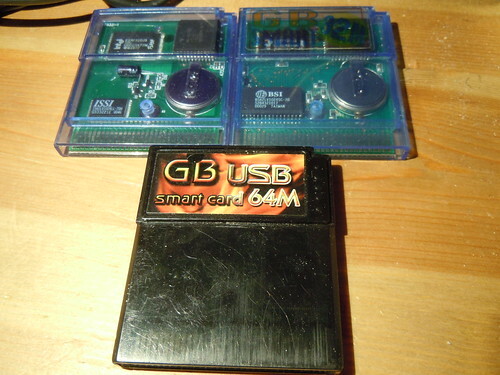 Gameboy Genius » Blog Archive » Gameboy project week 9: The EMS cartridges: Something old and something new. Something black and something blue. And how sloppy cartridge design affects you. I tired the ems on a gb advance, and gba games are not loaded, in the loader I drag my files in hit write, it completes but then shows me a blank page, any diea why .gba games wont work on the flash? Because it’s not a GBA flash cart. Btw, why do you enter nope@nope.com as your e-mail address? Do you really think I’m going to spam you or do something else evil? No offense Nitro, but I always get spam in all prior email addresses so im a bit cautious when entering email addresses on anything other then the log in page to see my mails. I try and stay safe online, rather then switching email accounts once the spam has infiltrated. I hope you take no offense as I have upmost respect in your work. Switch to GMail. Google might be slightly evil, but they’re using their evil powers to create an excellent spam filter. Hi there, all of those post pretty interesting to read. thanks a lot! But does your series reached the end? Got a quick question! Saving to SRAM in LittleFM seems that it is not yet implemented. Any idea when/if this will be added? This page was previously hosted on http://gameboygenius.8bitcollective.com/wordpress/2013/03/04/gameboy-project-week-9-the-ems-cartridges-something-old-and-something-new-something-black-and-something-blue-and-how-sloppy-cartridge-design-affects-you/ (*).